The 35 Letters from America to Holland provide a fascinating insight into the lives of the three te Selle brothers who emigrated from Winterswijk, Netherlands, to the United States, settling first in Wisconsin and then later in Nebraska. The letters were written primarily to their mother, Dela te Selle-ten Damme, and to their brothers. These letters span a 46-year period from 1865 – 1911, during which time the brothers Jan Hendrik, Harmen Jan, and Gerrit Jan te Selle evolved from young, idealistic, agricultural immigrants to mature, middle-class farm owners who had established themselves and their families as significant members of their local communities. The first letter in the collection was written by Gerrit Willem Bloemers, who had emigrated to America in 1846. 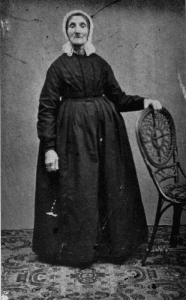 G. W. Bloemers was married to Janna te Selle, who was an aunt to the three te Selle brothers. 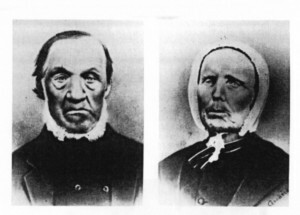 When Jan Hendrik and Harmen Jan first arrived in the United States in late 1865, they stayed with Gerrit and Janna Bloemers. In Letter 1, written in 1865 by Uncle Bloemers, we get some insight into the effects of the Civil War on the new immigrants to America. The remaining letters in the collection were written by the three brothers. The brothers clearly had deep-rooted religious beliefs, and were frequently moved to expound their philosophy at length in their letters, often extending their comments for several paragraphs. Many letters appear to be a composite of text from an emotional sermon, coupled with the local crop report! The letters were written on lightweight paper, and the text was quite compressed, in order to minimize the cost of postage. Given the infrequency of their letters back and forth to Holland, and their concern to reduce the postage cost, I was struck by the amount of verbiage that was often devoted to general religious philosophy, rather than to specific news about their families and the community. However, many of the letters did focus on family matters, such as who was healthy or sick, and what new babies had been born. There was always a crop and livestock report, meticulously reporting the price of each item. Sometimes the writer touched on more “worldly” topics. For example, in Letter 19 Harmen Jan provides a fascinating discussion of American history and native Americans. His thoughts about Indians would not be considered “politically correct” in today’s environment, but in 1878 he was certainly not shy about expressing his opinions. In Letter 22 Harmen Jan mentions that he is a correspondent for one of the local newspapers, He says that some of his articles are signed as “Te S” or “T.S.” It would be fascinating to obtain copies of those old newspapers today, and to read Harmen Jan’s viewpoints on current issues of his day. In Letter 33 Gerrit Jan provides an interesting account of their visit to the 1893 Chicago World’s Fair. As a carpenter himself, he was quite fascinated with the enormity of the buildings and the difficulties of constructing such large structures. As you read the last several letters, you may begin to chuckle. Obviously the family in Holland is not writing often enough, and the American brothers are getting more and more exasperated by the lack of letters from Holland. They try using many different phrases to shame their brothers in Holland into writing more frequent letters! One can only wish that more of these letters had been preserved, or that there were “Letters from Holland” that had been saved by one of our American ancestors. There are instances in several letters where one of the brothers refers to something that was written to them in a letter from Holland. We can only guess what those incoming letters might have said. The English translation was orchestrated by Norma TeSelle Prophet, of Firth, Nebraska. Norma is the granddaughter of Harmen Jan te Selle. She was so anxious to read the contents of the letters that she arranged a group of translators to translate the first group of letters. These translators had an almost impossible job, as they only had poor photocopies to use as their source material. Later, some translations had to be altered when the translators gained access to good, readable Dutch text. Each translator had a different style, so Dirk Willem te Selle made a final review of each letter and tried to insure a consistent translation of similar words and phrases. Also, Dirk carefully translated certain expressions that are only familiar to those who understand the Winterswijk dialect. Beginning with Norma and Dirk, several people, including many other family members, have been involved in finalizing and footnoting the English translations. We all have tried to retain the flavor of the text, while still making it readily understandable to someone who does not read or speak Dutch. Those of you who understand both Dutch and English are best equipped to appreciate both the tone and meaning of the brothers’ words. Some phrases in the English translation are highlighted in yellow, indicating that the meaning of those phrases was unclear or confusing. We would welcome some clarification from those of you who read both Dutch and English, so that we can improve the translation. We have added a number of footnote references in the letters to help clarify the people, places, and events. We hope to add more footnotes as additional information and insights become available from family members and other interested readers. Please feel free to suggest footnote references if you have new information that might enhance the understanding and enjoyment of these letters. (Great-grandson of Harmen Jan te Selle).